Will Amazon's Kindle party be crashed by the iPad mini? If you’re in the market for a tablet, and you don’t mind adopting Google’s Android platform, then the choice available to you right now is incredible. 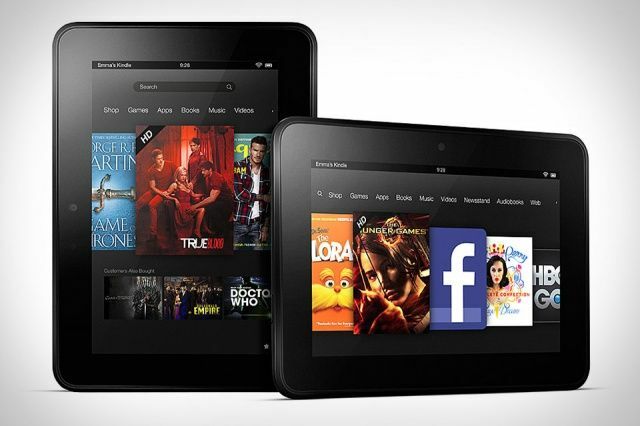 Amazon alone announced a pair of new Kindle Fire HD tablets on Thursday that feature an impressive selection of specifications, with 7- and 8.9-inch displays, that are priced at $199 and $299 respectively. But despite those tiny price tags, it’s unlikely Amazon’s tablets will prove to be a more attractive choice than the iPad for most. Analysts are confident that Apple’s device will remain the market leader, particularly with a rumored iPad mini on its way in October. Following Amazon’s announcement yesterday, analysts on Wall Street began making their predictions for the future of the tablet industry. While they noted that the Kindle Fires are a huge improvement over their predecessor, they are still expected to find it tough up against the Google Nexus 7, Microsoft upcoming Surface, and of course, the iPad. Apple still rules the tablet world and we believe the soon to be launched ‘iPad Mini’ at a $250-$300 price point (possibly a bit lower) will expand the company’s addressable market opportunity significantly with a 7.85-inch tablet, and potentially even surpassing sales of the regular-sized iPad. Meanwhile, Shaw Wu with Sterne Agee described the new Kindle Fire lineup as “ambitious” on Friday, and predicted that they will make it difficult for devices from the likes of Samsung, HTC, and Research in Motion to gain any traction. As a result of Amazon’s announcement, Wu believes Microsoft’s Surface will need to be priced at $299 or lower to have any chance of success. In fact, Wu explains that Amazon’s pricing is so aggressive, that it’s difficult for tablet makers to produce profitable devices — apart from Apple. The fact of the matter is, the only way Android tablets had a chance against the iPad was to be sold at ridiculously low price points. And for the likes of Amazon and Google, that model has been relatively successful. But with a cheaper iPad mini on the way, tablet makers will have to think of new ways to shift their devices. Otherwise they’re going to find it very difficult indeed.